The league has been full of roster changes in April, and it’s not just because of spring cleaning. Overwatch League fans have been on an emotional roller coaster this week. Nearly a dozen trades, retirements, or removals have happened in the first few days of April alone. Understandably, many fans are wondering why there has been a veritable storm of changes before stage two begins on April 4. Trades and changes often happen when competition is on a break, but there are a few specific reasons as to why so much is going on in such a short time. Let’s break down those very reasons. Followers of any traditional sport can attest to the devastating effects a disappointing season can have on coaching and support staff. When a team fails at achieving goals they promised owners, investors, and fans, coaches often take the hit for poor decision-making. Many teams unfortunately had a disappointing stage one and want to fix their issues before stage two, and they started with their coaching staff. Take the Los Angeles Valiant, a team that went from winning a stage championship last year to going 0-7 in the first stage of season two. Even if the losses can’t statistically be blamed on one person—coach or player— someone has to be the scapegoat. The Valiant parted ways with head coach Moon Byungsul almost immediately after their final game of the stage. The same thought process applies to the myriad of coaching changes that the Overwatch League has seen the past few days. The Washington Justice released coach Mark “Obasill” Regush after a 1-6 stage in which they ranked 18th out of 20 teams. Even though the Justice retained their head coach Kim “WizardHyeong” Hyeongseok, the removal of Obasill sends a message to fans and investors that the team is trying to improve. The Justice’s poor performance during stage one could be blamed on a host of unlucky variables, such as having a difficult schedule and being an expansion team with unproven players. Someone has to face the consequences of poor performance, and unfortunately, it’s often coaches. Some news during a trade period can be depressing, like the removal of coaches. But the addition of new talent to a team can often bring positive vibes for fans and the team itself. Even though many teams already have rosters that include substitutes, additional members are often necessary to bring in a new perspective. The Boston Uprising added a new flex support, Zion “Persia” Yang from Pacific Contenders team Talon Esports, before the beginning of stage two. Similarly, the Atlanta Reign added off-tank Nathan “frd” Goebel from Contenders team Gladiators Legion. Contenders players in particular bring a level of passion and dedication to the Overwatch League that can motivate other players on their teams. These players are used to the grind of professional play without the benefits the league provides, such as a steady paycheck. 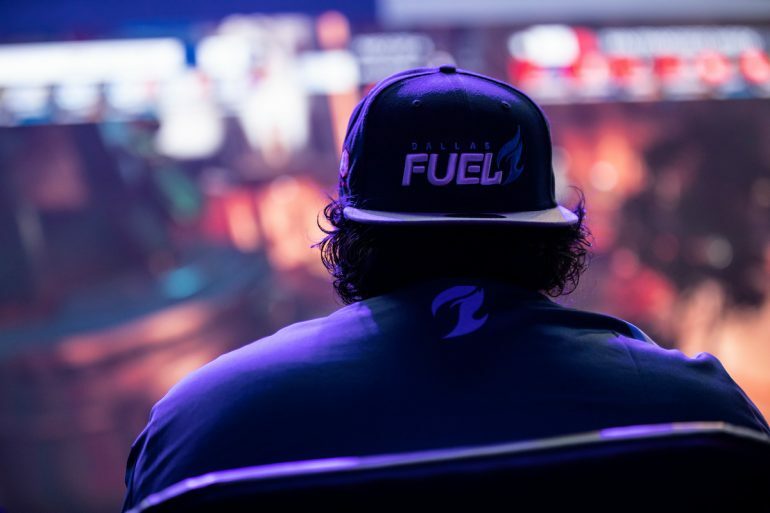 They’ve stuck it out to make it to the big leagues, and their addition can offer a wake-up call to league players who have become complacent in their positions. If you’ve ever worked on a project for a long period of time, you know the feeling of being in a rut. A change of scenery, even moving across the room, can restart passion and creativity. Trades and transfers in the Overwatch League may operate under a similar mindset. Take the off-tank swap between the Boston Uprising and the Dallas Fuel. The Fuel acquired Lucas “NotE” Meissner from the Uprising in a trade for Richard “rCk” Kanerva. Both players are off-tank D.Va specialists with lengthy histories in Overwatch and moderately similar statistics. So why trade them? The details haven’t come out yet, but maybe one (or more) players wanted a change of scenery to bring their passion back. Transfers can also benefit both players and organizations. 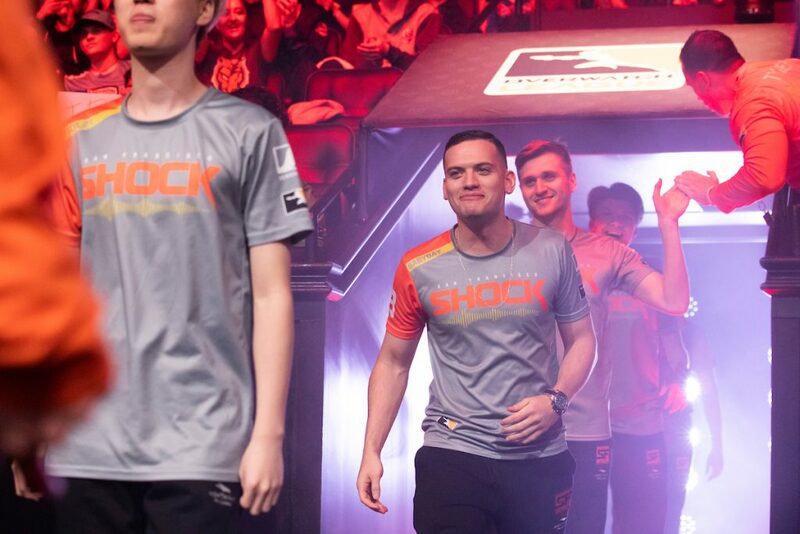 The Atlanta Reign acquired Andrej “Babybay” Francisty from the San Francisco Shock this past week. Last year, Babybay was a staple within the Shock organization for his hitscan play, especially on Widowmaker. In addition to his play, he brought a big, popular personality to the Shock. Unfortunately, as the meta shifted, he was relegated to the bench. The Atlanta Reign recently lost a top DPS and big personality when Daniel “Dafran” Francesca retired from professional play to be a full-time streamer. Who better to replace Dafran than someone who can similarly hype up a crowd and get fans streaming in? The Toronto Defiant lost DPS Lee “Stellar” Do-hyung, who stated he was retiring from professional play due to personal reasons. Of all the recent announcements, none was more emotional than the retirement of Christian “cocco” Jonsson from the Dallas Fuel coaching staff. In an introspective video, cocco revealed that he’d lost the joy for Overwatch, and said he’d “never been this stressed out” in his life. As a professional player, cocco had been present in the Overwatch scene since its birth as an esport in 2015. If the stress of the Overwatch League can get to someone with such a storied history of excelling in challenging, international tournaments, what will it do to players who haven’t had those experiences? The seemingly endless torrent of trade news the past few days is more a result of team transparency than an actual trend. Many of these roster changes have likely been in effect since the end of stage one, nearly two weeks ago. But as fans demand answers to the failings of a team, and demand changes before a new stage, announcements begin to come out. The true reasoning behind surprising or heartbreaking trades may never be revealed, but at the end of the day, sometimes only change can bring a team back from the brink. Stage two will reveal if any of these changes were beneficial; it may also give a hint as to who may be on the cutting block during the next hiatus.